For all today’s gadgets, there’s a great deal still to be said for pen and paper. It’s cheap, reliable and you don’t need to worry about the battery life. Setting those practicalities aside, I find great pleasure in a beautiful notebook and a fine fountain pen, though my handwriting still leaves much to be desired. I’m not a alone in this pleasure with a resurgence in paper notebooks and the legendary Moleskine has pushed to the fore. Is it the best? 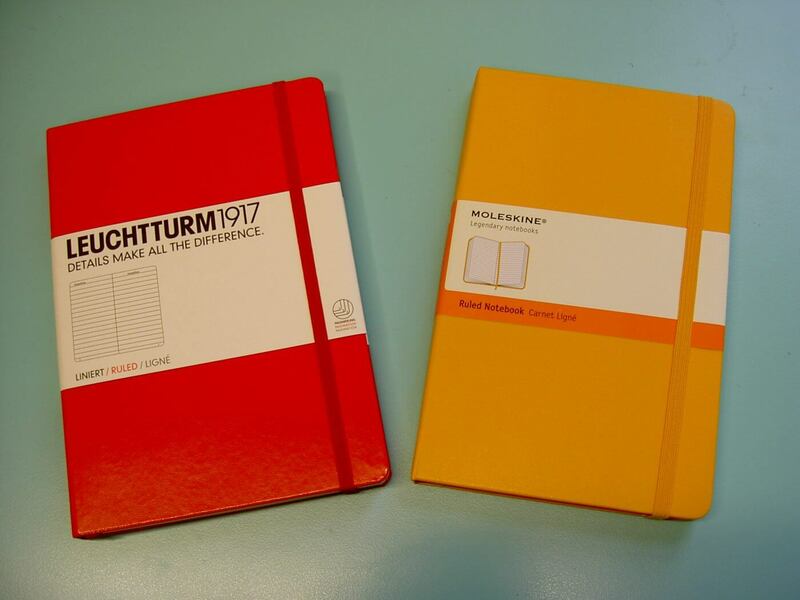 Here we have two lined notebooks, one from Leuchtturm1917 and the other from Moleskine – let’s take a look and find out. Both Moleskine and Leuchtturm draw on their heritage. 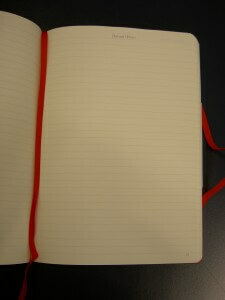 Moleskine’s dates back into the early 20th Century name-checking Picasso, van Gogh and Hemingway. Although originally French, it died out in the 1980s, only to be resurrected in the late 90s by an Italian publisher. On the other hand, Leuchtturm goes back to 1917 (hence Leuchtturm1917) with roots in Hamburg, Germany and a reputation for stamp collecting albums, which continues today. These stories are laid out by both companies in small cream folded inserts that accompany each book. The message is clear; you aren’t buying only a notebook, you are continuing the traditions of culture, history and travel. Physically both notebooks are very similar but there are subtle and useful differences. I’d call them medium or A5-sized notebooks though strictly the Moleskine isn’t wide enough for A5. Both are 21 cm tall with hardcovers but the Moleskine is only 13 cm compared with the the Leuchtturm‘s 14.5 cm. Each has an elastic enclosure band, page marker and an expandable pocket inside the back cover. They also come in wide range of colours and pair well with 7″ tablets, such as the Nexus 7. Opening the notebooks shows that both have lined pages with the same line spacing, but with the Moleskine, that’s about it. Although both have an Owner page at the front, the Leuchtturm goes further with three Contents pages and each page is numbered for easy reference. In addition, there are eight perforated pages towards the back that can be removed, along with some stickers to assist with archiving once the notebook is full. The Leuchtturm1917 is for those who want to be organised! 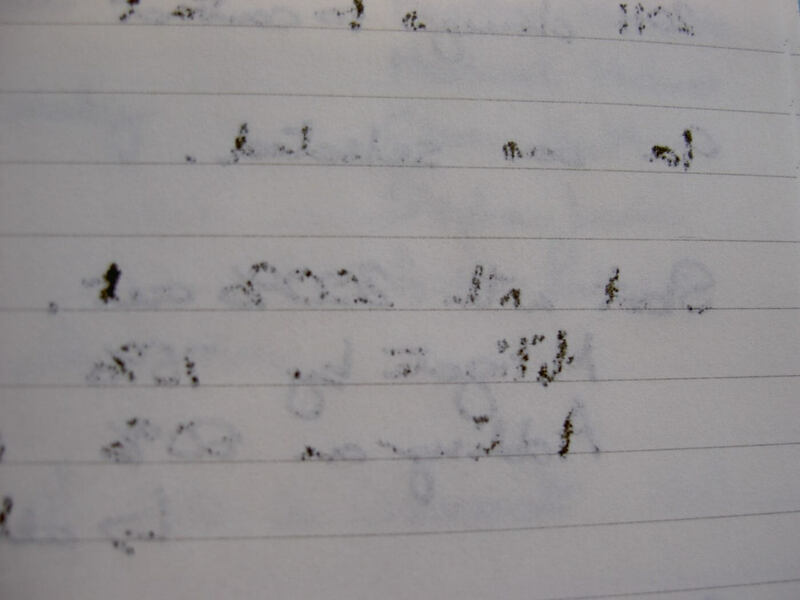 “Datum / Date” is printed at the top of each page too, which may put people off but suits me fine. Both notebooks have lovely paper which is a joy to write on with pencil and ballpoint. 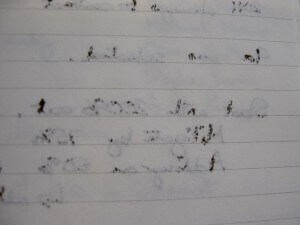 However, the Moleskine has a problem with pen ink bleeding from one side to the other, particularly with black ink, which makes the Leuchtturm a better choice for fountain pen writers. Overall, both the Moleskine and the Leuchtturm are stylish notebooks with a great feel both in the hand and under the pen. For me as a fountain pen owner, the Leuchtterm wins out by default, but the contents pages and page numbering make it my choice for those reasons too. 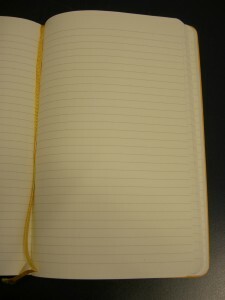 Pencil owners and people looking for something a little neater may prefer the Moleskine. Whichever you choose, you’ll never go back. Available from all good stationery retailers, the Leuchtturm1917 retails for around GB£13 with the Moleskine for a few pounds less.